Do You Feel Persistently Stuck In Negative Thinking Patterns? Do you constantly feel tired or overwhelmed with insecurity, fear or dread? Do racing negative or self-critical thoughts affect your ability to concentrate on your responsibilities or engage socially? Perhaps you feel stuck and lack confidence in your ability to make decisions, problem-solve or feel satisfied in your daily routine and relationships. You may be struggling to fall asleep at night or wake up in the morning. Are you feeling unmotivated or procrastinating at work, doubting if what you’re doing is furthering your purpose and passion? Do you wish you could develop a better understanding of your experience and live a more connected, purposeful, productive and peaceful life? Struggling day after day with deep dissatisfaction around the circumstances of your life can be overwhelming, defeating and debilitating. Because anxiety is a looping process that fuels thoughts, emotions, behaviors and choices that lead to uncomfortable physical symptoms, such as sweating, shaking, increased heart rate and overwhelming sadness, once these feelings and patterns set in, they can be difficult to shake. And, not having the tools or knowledge to fully understand the source of these uncomfortable sensations may cause them to multiply, triggering a cycle of racing thoughts and keeping you feeling persistently stuck, withdrawn or on edge. You may feel exhausted by this distress and desperately crave a path toward relief. Anyone can become stuck in a particular pattern of beliefs, thoughts, feelings, behaviors, work habits and relationships, even if they know that pattern makes them unhappy. The fact is that approximately 95 percent of everything we think is actually the result of earlier environmental conditioning. What we experience and learn early on impacts how we think and behave throughout our lives. So, even though you want change and strive for something better, you’re constantly getting snapped back into old routines and patterns because they are familiar and may seem safe. But, even if certain behaviors or thoughts helped you cope with difficulties at an earlier stage of your life, those routines may no longer be benefiting you. This cycle can leave you feeling defeated, dissatisfied, frustrated or like something is inherently wrong with you. But, nothing is wrong with you. Our subconscious brain just doesn’t really care about what’s good for us in the long-term, it is simply fulfilling its programming. Your trouble relaxing, staying focused or getting enough sleep is related to your brain being stuck. The good news is that this can be reversed with hypnotherapy and neurofeedback that can help you become more resilient, self-assured and equipped to achieve what you want and need in life. Neurofeedback simply gives your central nervous system (CNS) and your brain feedback about itself, and gently shows what is balanced so that your system can move to a calm state. It’s similar to meditation, but with nothing to do except listen to soothing music. It helps your CNS and your brain become more resilient in its ability to bounce back from negative events, thoughts, feelings and behaviors, such as getting into an argument, avoiding an argument, surviving a bad day at work or even something more severe, such as the loss of a loved one or a physical or emotional trauma. A resilient brain does not react but is able to respond calmly. As your brain becomes more resilient, you will feel more at ease and more confident in your ability to maintain balance and happiness. 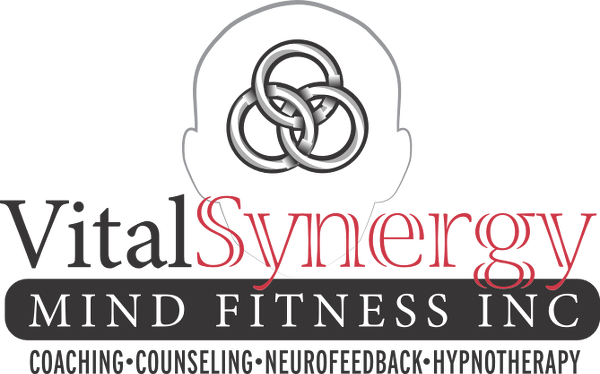 Unlike talk therapy, hypnosis therapy and neurofeedback offers the opportunity to override the subconscious programming that is compromising your thinking patterns and your emotional and physical health. 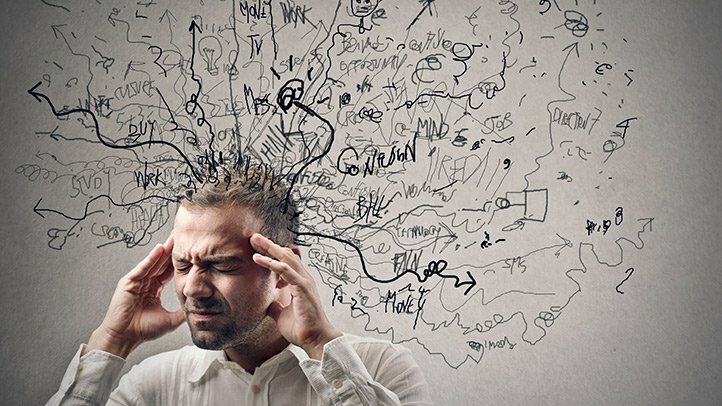 Even clients who have experienced various traumas; have been diagnosed with anxiety, depression, addictions, OCD, personality disorders or mood disorders; or may have other long-standing challenges, such as low self-esteem or high burnout rates, have been able to change their lives for the better – beyond what they ever thought was ever possible. Hypnosis and neurofeedback allow you to get out of anxiety so that your CNS and brain, both left and right, and the body can work seamlessly together and achieve balance. My approach is holistic, drawing on 36 plus years of experience using a variety of tools. Here, you will learn how and why your brain operates as it does, while you also experience new ways of being. Together, we can work in an environment that is conducive to relaxation, learning, personal growth and transformation. Through sessions with me, you will learn how to reverse your subconscious negative belief patterns and walk away being your best self. In my own life, I’ve been able to overcome conditioned obstacles and achieve harmony and success. No one has to remain stuck or limited by their past programming or life events. We can all achieve success in all areas of our lives. All you need is the curiosity to explore and experience what might be possible. 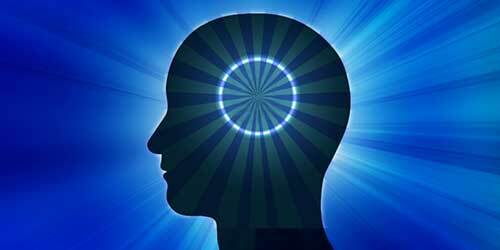 I doubt hypnosis and neurofeedback will really change my life for the better. Change is possible. It’s perfectly normal and honestly very easy for our lives to get off track. This method can help all ages from toddlers to seniors address a variety of issues. Many people have successfully used it to become more focused, elevate their moods and feel less stress. And, it doesn’t matter whether the problem is physical, mental or emotional because, by addressing the central nervous system, we address every aspect of our functioning. My holistic approach can help you break bad habits, overcome fears and transform your life for the better. I’m afraid of making significant changes to my relationships or way of life. I know that change can be frightening. Often, we form relationships that are self-sabotaging. We often empathize with people that share our fears, anxieties and other negative emotions. As you begin to recognize and heal those negative patterns in session, you may have to learn to re-navigate those relationships in a way that promotes your positive health. You can make positive changes that allow you to foster healthy, supportive relationships and long-term wellbeing. Often when one partner has a healthy transformation, it can help bias the other partner to make healthy changes. If I do the neurofeedback or hypnotherapy, will I re-experience painful memories or possibly realize something terrible about myself? Your experience in the hypnosis exercise is similar to meditation, where positive suggestions are given to experience, and you will only take the suggestions that support a healthy thought, feeling or vision of what is possible. It’s not something I can force you to do, so anything that you experience from the neurofeedback or hypnosis are of your volition. Plus, hypnosis is just like relaxing. It’s something you do naturally all the time. When you’re driving and miss your exit because you’re spacing out or when you can’t remember what you just read—that’s hypnosis. It’s like daydreaming. In session, you will close your eyes and relax every muscle in your body. Then your mind will go quiet, and it’ll feel good. As I give you suggestions, your brain will introduce itself to new possibilities. This is all meant to promote positive, healthier ways of thinking and being. You can do all this without traveling back into the past or ruminating further in your fears and anxiety. You don’t have to feel unfulfilled anymore. If you’ve been stuck in negative thinking patterns and want to break free of depressive and anxious cycles, please call 604 – 770 – 3038 to ask about a 30-minute free telephone initial consultation, or a 60-minute initial office consultation with the first 30-minutes free. I offer telephone, Skype and office sessions. Some extended medical and self-employed coverage available.